Life is good, then warts appear. No matter where the ugly things show up, they have an adverse effect on your life. Your priority is to quickly find effective warts treatments. There are dozens to choose from. Some treatments can be quite painful, others take a long time to work, and some are expensive. It’s hard to choose which one will work the best for you. Help is here. We’ve collected a selection of treatments and tips that can help you eliminate your warts. How Efficacious Are Wart Creams? What Makes a Wart Treatment the Best? Is There More Than One Medicine for Warts? What Is the Best Wart Removal Medicine? Although warts can appear in different parts of your body and require warts treatments specific to which kind they are, all warts have similarities. They are all a viral infection, which means they are contagious. Sure, you can pick at them until you pull off bits of dead tissue, but you aren’t helping yourself if you do. Wart tissue is jam-packed with infectious cells and picking at it spreads those cells. Your first tip is always hands off. Wart tissue is skin. Water softens skin. Your second tip is to soak your warts in warm water. If they’re located in a place you can’t soak, hold a wet warm cloth against them. Once the tissue is softened, you may carefully file off the surface. Use something like a pumice stone or emery board for filing. Stop before you irritate the wart or cause it to bleed. Your immune system is your best defense against the virus that causes warts. The third tip is to do everything you can to keep your immune system strong. You strengthen it when you follow healthy lifestyle habits. Until your immune system is strong enough to fight off the virus, your warts will continue to recur. 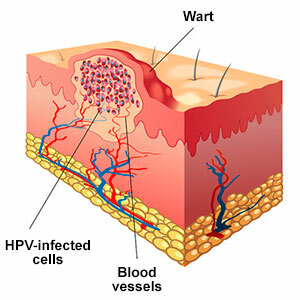 Warts are caused by the human papillomavirus, or HPV. HPV includes more than 100 types, a few of which are responsible for warts. 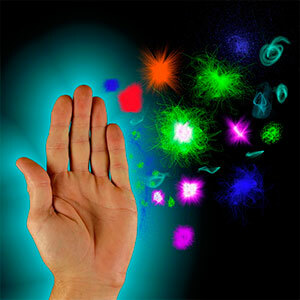 At the present time, there is nothing that will kill the virus other than your immune system. The different types of HPV choose different parts of your body to infect. 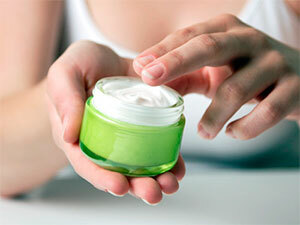 You can purchase wart creams over the counter that are efficacious and generally safe. Herbal creams, such as Nevi-Cream. Homeopathic creams, such as those containing Thuja. Salicylic acid creams, such as Wartrin. Your doctor may also prescribe stronger creams, such as those containing 5-Fluorouracil or Imiquimod, such as Aldara or Zyclara. 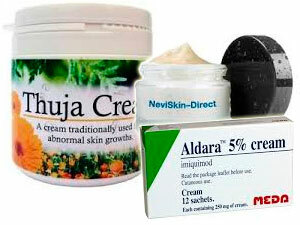 You can learn about fluorouracil cream for warts here. We also have information about Aldara cream for warts here, so that you can discuss with your doctor which is best for you. The creams all work in different ways to kill warts, so you may need to experiment to find one that’s effective for you. Black salve for warts is a plant-based remedy similar to creams that is highly efficient in killing warts. It should also have minimal side effects. Your idea of the best treatment will likely be different from the preferences of others. Some treatments aren’t effective for everyone, and what is easy for some may be difficult for others. You’ll find information here on dosage and instructions on how to use an oral medication for warts, which is an easy remedy for some individuals, especially those with sensitive skin. Taking Tagamet tablets orally for warts has successfully removed the growths for some people. 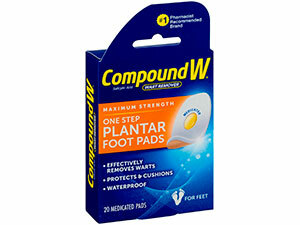 Many individuals prefer wart pads because they are easy to use and comfortable, especially for plantar warts. Other individuals find wart patches even easier to use on their fingers or feet. A convenient choice for those with smaller warts is wart bandaids. A home remedy that you might try is using hydrogen peroxide on your warts. If you try this, be sure to purchase food grade hydrogen peroxide. Another easy home remedy is dabbing nail polish on your wart. It seals the wart and suffocates it. The effectiveness of most home remedies is anecdotal. Anecdotal evidence is based on personal experience, not scientific research. There is no lack of wart medicines. Many of the products, such as wart ointment, contain ingredients that soak into the wart. A wart stick contains salicylic acid, an ingredient that dissolves warts. Compound W wart remover products contain salicylic acid in a variety of applications, such as pads, ointments, liquids, and gels, so that you can select what will work the best for you. You also have a selection of ingredients from which to choose. There is something for everyone, with a variety of wart removal products available over the counter. You can learn about H-Warts here. It’s a homeopathic remedy made from Thuja and essential oils. Thuja is a proven wart killer, but it’s too strong to use undiluted. Terrasil wart removal products are made from Thuja and specific minerals. Your doctor can prescribe strong medications for warts you are unable to destroy at home. 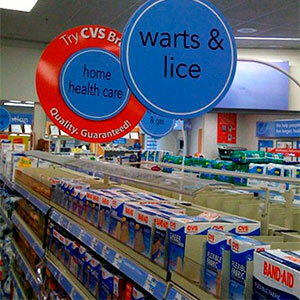 Whether it’s prescription or over the counter, you can find all these warts removal products at CVS. If you’re pregnant, your doctor will probably recommend trichloroacetic acid wart removal, as many of the other products can potentially harm your unborn baby. If your warts resist all other treatments, your doctor may suggest injecting a strong medication directly into the wart. One choice is Bleomycin for warts. Another choice is a Candida injection for warts. These products stimulate your immune system, which then kills the virus that caused your warts. There is more than one best wart removal medicine. That’s because there is more than one kind of warts. The first choice for many skin specialists is salicylic acid. It’s available in prescription strength and over the counter. One effective over the counter product is Mediplast wart remover pads, which are impregnated with salicylic acid. Individuals who want to avoid chemicals or other strong products opt for homeopathic wart removal. Most homeopathic products work slowly, but they don’t irritate your skin and rarely have side effects. You will probably have to try several warts treatments to find the best one for you. Some are unusual, some are for other problems, and most won’t work for everyone. Each one, however, has successfully eliminated warts for some people.